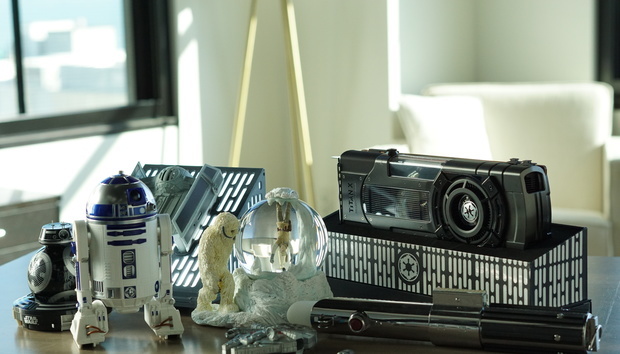 You need this Star Wars gift guide. There’s no way any human could navigate the millions of Star Wars-themed items available, thanks to Disney’s merchandising-industrial complex. But you want this Star Wars gift guide, too, if you are (or you’re shopping for) a Star Wars fan who’s also a tech geek. “Tech geek” describes 100 percent of the staff at PCWorld, and as for Star Wars...well, I saw Episode IV more than 24 times in the first year (yes, I lost count), Episode V 14 times in the first year, and Episode VI 8 times (blame the Ewoks). Just call me OG Star Wars. Meanwhile, my esteemed colleague Gordon Mah Ung has three replica lightsabers, including one he gave to his wife for their first wedding anniversary. Awwww! We actually used all the gifts we included. We’ll tell you what we liked and didn’t like about them so you can make an informed choice. We’ll update this guide from time to time when we come upon something else worth mentioning. Is the hybrid cloud's biggest challenge a lack of expertise?